This past weekend I wanted to do an easy Valentine’s craft that I could display in my apartment. 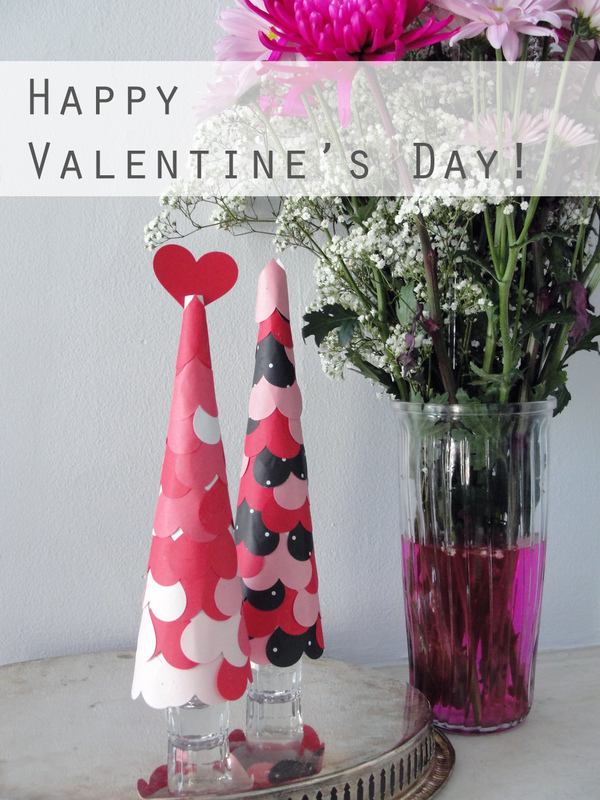 I settled on making these paper heart cones. Especially if you have a heart-shaped paper punch, they are relatively simple to make. 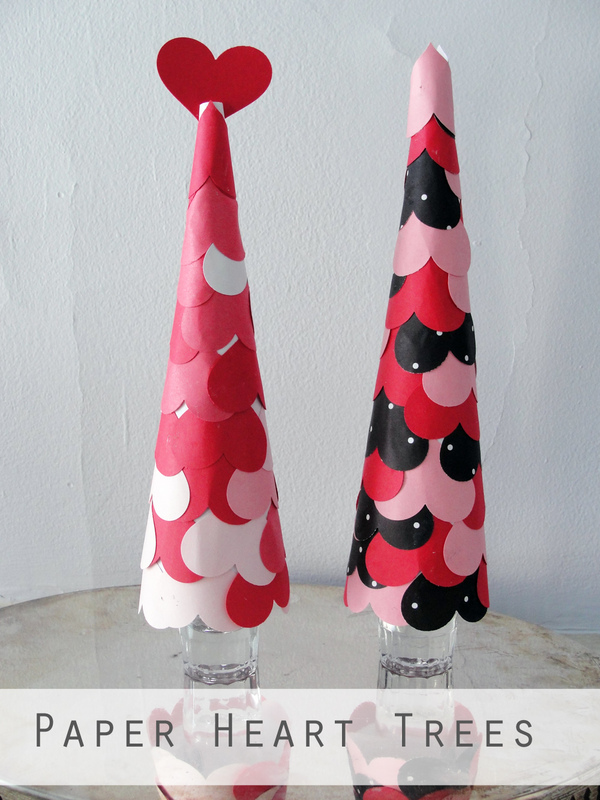 You will need colored paper and basic glue to finish this craft as well. 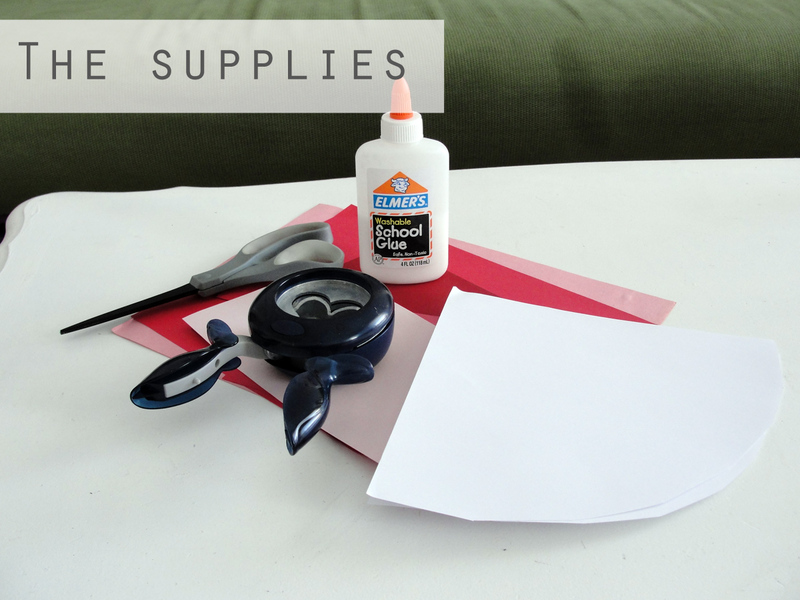 To make a cone shape, cut a curve connecting the edges of a 90-degree angle on one edge of your paper, as pictured above in the supplies photo. I used a little bit of tape on the edge after rolling it up to keep the cone shape. Since you’re going to cover it up anyway, your cone doesn’t have to be perfect. 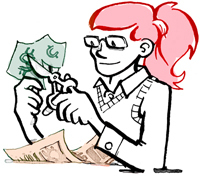 Next, cut or punch out the hearts in the colors you want to use. On one of the cones we just did shades of pink and red. On the other we also added in a black polka-dotted pattern from scrap booking paper. When I originally saw this craft online, they only glued the top edge of the paper and left the rest free and 3-dimensional. I found that it was much easier to glue the heart fairly flat against the cone. I also would curl the heart before gluing it down. Otherwise, it was difficult to manage and the heart would spring off the tree. Once you’re done, you can cut a slit in the top to add a heart topper if you’d like. I placed the cones on shot glasses to prop them off the ground. Now they definitely look like trees!